In theory, theory equals practice. Paper-count-based ranking schemes are often defended as "objective." They are also less time-consuming and less expensive than procedures that involve careful reading. Unfortunately, an objective measure of contribution is frequently contribution-independent. [The current model of scientific publications] is incredibly inefficient under every perspective, and results in a colossal waste of public funding [...] It is a system deeply rooted in the past, oblivious to the advent of the Web and related new forms of communication, information sharing, social networking and reputation. The reality is that evaluating quality and impact is difficult, while counting beans is easy. But bean counting leads to inflation—if 10 papers are better than five, then surely 15 papers are better than 10! A partial list of my publications is on my ACM author profile, DBLP, Google Scholar. My ORCID identifier is http://orcid.org/0000-0002-2151-5287. My Erdős number is ≤ 4, via the coauthorship chain Marzolla—Inverardi—Mignosi—Shallit—Erdős. Copyright notice. This material is presented to ensure timely dissemination of technical work. Copyright and all rights therein are retained by authors or by other copyright holders. In most cases, these works may not be reposted without the explicit permission of the copyright holder. See the ACM Copyright Notice, the IEEE Copyright Policy, and the Elsevier copyright agreement. The documents contained here are author-generated and may differ from the final published versions. Moreno Marzolla, Stefano Ferretti, Gabriele D'Angelo, Dynamic Resource Provisioning for Cloud-based Gaming Infrastructures , ACM Computers in Entertainment vol. 10 issue 3, Article 4 (December 2012), 20 pages. EISSN 1544-3574. Moreno Marzolla, Fast Training of Support Vector Machines on the Cell Processor , Neurocomputing, Volume 74, Issue 17, October 2011, pp. 3700–3707, ISSN 0925-2312. 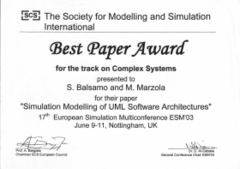 Moreno Marzolla, Raffaela Mirandola, PARSY: Performance-Aware Reconfiguration of Software Systems , International Journal of Performability Engineering, Volume 7, Number 5, September 2011, pp. 479–492, ISSN 0973-1318. 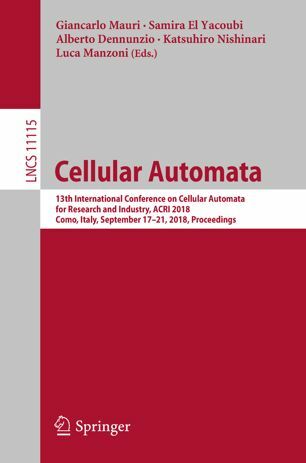 C. Aiftimiei, P. Andreetto, S. Bertocco, S. Dalla Fina, A. Dorigo, E. Frizziero, A. Gianelle, M. Marzolla, M. Mazzucato, M. Sgaravatto, S. Traldi, L. Zangrando, P. Mendez Lorenzo, V. Miccio, Using CREAM and CEMonitor for job submission and management in the gLite middleware , Journal of Physics, Conference Series, Vol. 219, issue 6, pp. 062001, 2010, ISSN: 1742-6588 (Print) ISSN: 1742-6596 (Online). doi> [PDF] [BibTeX] © 2010 IOP Publishing Ltd.
doi> [PDF] [DBLP BibTeX Entry] © 2009 John Wiley & Sons, Ltd.
doi> [PDF] [BibTeX] © 2008 IOP Publishing Ltd.
Additional resources: Script used to produce the plots included in the paper. To run this script you need GNU Octave and the GNU Linear Programming Kit (GLPK). Video recording of Luca Toscano presenting the paper at FHPC. M. Riedel, A.S. Memon, M.S. 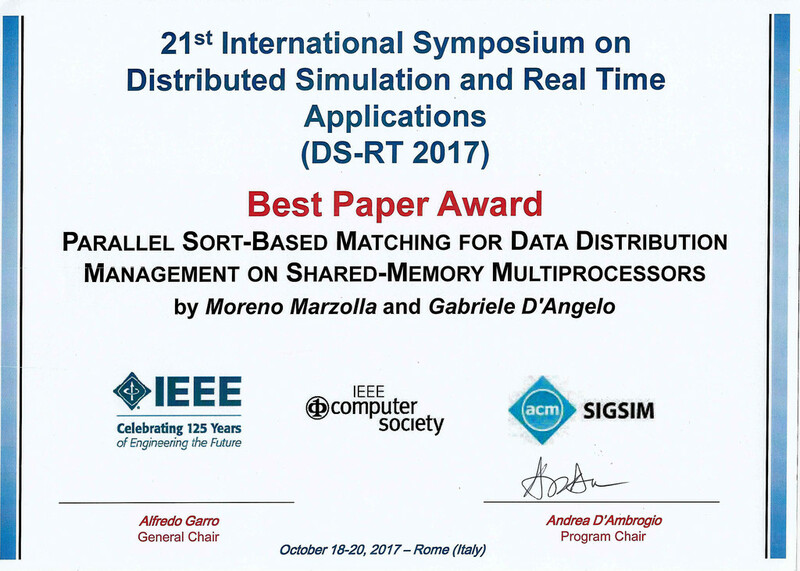 Memon, D. Mallmann, A. Streit, V. Venturi, P. Andreetto, M. Marzolla, A. Ferraro, A. Ghiselli, F. Hedman, Zeeshan A. Shah, J. Salzemann, A. Da Costa, V. Breton, V. Kasam, M. Hofmann-Apitius, D. Snelling, S. van de Berghe, V. Li, S. Brewer, A. Dunlop, N. De Silva Improving e-Science with Interoperability of the e-Infrastructures EGEE and DEISA , Proceedings of the 31st International Convention MIPRO, Conference on Grid and Visualization Systems (GVS), P. Biljanovic, K. Skala (ed. ), May 2008, Opatija, Croatia, Croatian Society for Information and Communication Technology, Electronics and Microelectronics, ISBN 978-953-233-036-6, pages 225–231. 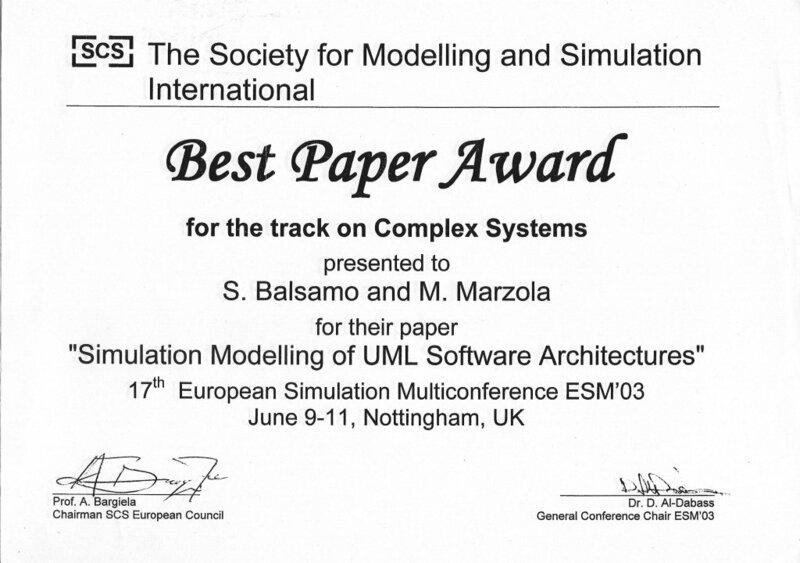 Moreno Marzolla, A Performance Monitoring System for Large Computing Clusters , Proceedings of the 11th Euromicro Conference on Parallel, Distributed and Network based Processing (PDP'03) (Andrea Clematis, Editor), Genova, Italy, February 5–7, 2003, pp. 393–400, ISBN 0-7695-1875-3, IEEE Computer Society. Moreno Marzolla, Distributed Simulation of Large Computer Systems , Proceedings of the International Conference on Computing in High Energy and Nuclear Physics (CHEP'01), 3–7 Sep 2001, Beijing, P. R. China. Moreno Marzolla, Maintaining Dynamic Graph Properties Deterministically , Proceedings of the Sixth Italian Conference of Theoretical Computer Science, Prato, Italy, 9–11 Nov 1998, World Scientific Publishing. 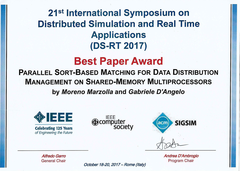 14 Oct 1999, presented at the Department of Physics, University of Rome "La Sapienza"
[Author] 9th International Symposium on Software Engineering for Adaptive and Self-Managing Systems (SEAMS 2013), May 20—21, San Francisco, USA. [PC member] Third International Conference on Cloud and Green Computing (IEEE CGC2013), Sept 30—Oct 2, 2013, Karlsruhe, Germany. 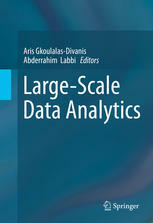 Coordinator of ISCRA project HP10CCPDJC PACNA (Parallel Algorithms for Complex Networks Analysis). Coordinator of ISCRA project HP10CR15I1 PAGA (Parallel Algorithms for Graph Analysis). FIRB project n. RBFR107725 Monitoraggio delle Informazioni, Modelli di Propagazione e Community Detection nei siti di Social Networking (Information Monitoring, Propagation Analysis and Community detection in Social Network Sites). EU project INFSO-RI-222667 EGEE-3. I worked in the JRA1 Activity (Middleware Re-engineering). EU project INFSO-RI-031844 OMII-Europe. I was coordinator of the JRA1/Job Submission task. Progetto FIRB: Performance Evaluation of Complex Systems: Techniques, Methodologies and Tools (there are also web pages describing the local research activity done at the Department of Computer Science, Università Ca' Foscari di Venezia.